And now onto the more spoiler-y side of things. I’ll just get through a general update and then go from there. You can skip down to the discussion if you’d like. Zoey, Nomi, and Ana have just moved into an apartment together. They were totally scammed though, the place is a dumpster fire. Professor Telphy is somehow Dean of Students now. Like, how? But anyway, Zoey talks to him about getting a solution for the apartment situation. That kind of leads no where, but she ends up having an idea for a cleaning party. A bunch of their friends come over and the apartment ends up being fire in a good way. Vivek is still Vivek. He was decked out in Gucci for the first episode and he’s trying to get back in with the rich kids. He still a drug dealer, forever on his hustle. The twins were on a no carb diet over the summer for track. They basically ate everything at the apartment cleaning party. There’s also trouble in paradise with Luca and Zoey. Things haven’t been the same since he’s been back from Paris, starting with the fact that Luca didn’t tell Zoey he was back from Paris. Thankfully, Zoey did not actually throw a drink in his face, but it was still pretty rocky. Nomi’s personal space issue is a source of discussion for Ana and Aaron. Aaron says some slap yourself in the face things but I think there’s some chemistry between them. Aaron and Ana could end up being something, even if they’re total opposites in political party and personality. And let’s not forget about how Jazz and Sky came through with the chips. In the end, Zoey’s friends help her realize that things aren’t supposed to be perfect in the beginning. There’s supposed to be mistakes, disasters, and room for improvement. It’s super heartfelt and all together cute. Now let’s get into the juicy stuff. Episode Two starts with Zoey talking about the types of college relationships. Jazz and Doug are declared relationship goals while Zoey and Luca are… Well, not so much. 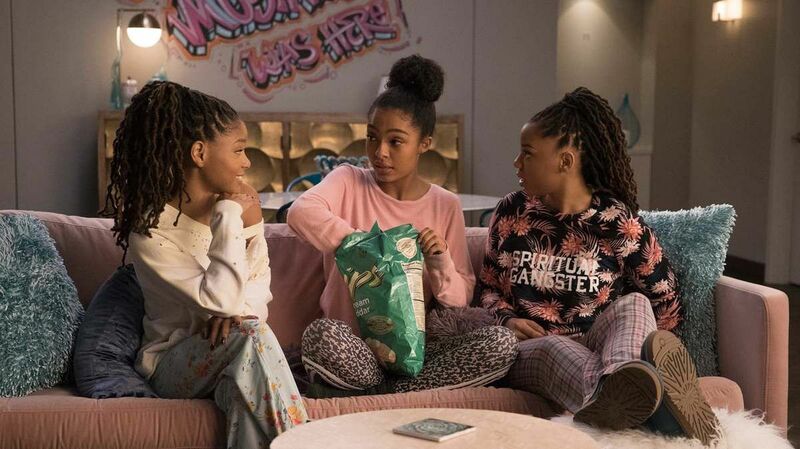 Zoey spends the majority of the episode stressing about a hashtag and worrying that there may be something wrong with their relationship, after all. Then, we see the guys. Aaron is an RA for Hawkins now and he’s not too excited about it. Vivek starts talking about how one of the other dorms is hosting Brochella. Aaron decides to hit us with some culture by hosting a last minute movie night on the lawn of Hawkins. Aaron introduces the movie as having black heroes, Lupita Nyong’o, and an uplifting story. While I’m over here thinking he’s about to play Black Panther, this man pulls up 12 Years a Slave. Nomi and Sky leave at the same time so they cancel each other out, it makes more sense if you see the clip. Ana ends up going off on Aaron about the movie, with good reason. She gets on stage and tells everyone to go to Brochella instead. Basically, the night is a disaster for Aaron. And, the icing on the cake, Zoe goes to Aaron for advice on her relationship with Luca. Zoey and Luca end up using social media to make-up. Turns out, they were both feeling uneasy about it. It was cute or whatever. I still wish she chose Aaron, but that’s just me. How do you think Charlie Telphy became Dean of Students? What did Aaron do to deserve all that? Who actually rooted for Luca from the get go? Do you think Zoey and Luca will last? Do you think there’s a chance for Aaron and Ana? 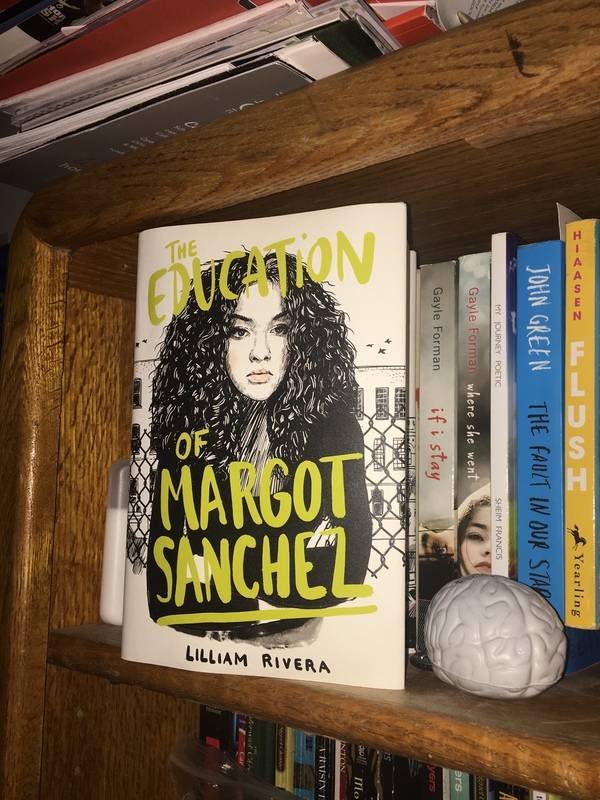 The Educated Negra • This entry was posted in Show Review and tagged Blogger, Conflict, Diversity, Entertainment, Grownish, Representation, Romance, Teen Romance, TV. Bookmark the permalink. 1.) I’m not sure how he became Dean of Students. A really good question is how has he achieved anything he’s achieved? A professor? Working with Dre at that company? 2.) Aaron is just passionate about his cause. I mean I get what he’s trying to do. Sometimes it can seem a bit much, but people are passionate about the areas they are born to focus on and they should be. He’s trying to bring awareness. Now, he shouldn’t jump down people’s backs and should let them choose whether or not to attend his events. And if they don’t agree, he shouldn’t try strangling (I’m exaggerating) them like he did Ana last season. Also, that shouldn’t be the only thing he knows how to talk about. 3.) Honestly, I rooted for Cash. Cash was cute. He could use some improvements but I like him better than “power to the people” Aaron or “I’m super chill bro, just chillin’, just hanging, fixin’ my aura,” Luca. I feel like Cash had a lot of potential. They introduced the issue with his father and they could have built on that more. 4.) I really don’t know if Zoey and Luca will last. Luca can be very unnecessarily weird sometimes. I’m getting used to them and I just hope if they do break up, it doesn’t cause a rift between the group. Charlie is a whole joke, but I love him. Still wanna know what happened to the REAL Dean, though. Maybe it’s because I relate to Aaron’s cause so much, but I just love him. I would not have hesitated at a chance with him. I’m worried about the group splitting too, especially since Zoey’s a big part of it, but I feel like I could see Luca fading out the way Cash did. Cash did have room for improvement but actions speak louder than words and I just think his actions weren’t on par. Also, I just think he’s not right for Zoey. I feel like Aaron and Ana being together would be cute from the outside but an absolute disaster of a relationship. They’d be fighting every second. It would make for good TV, though.